A great alternative way to spend a wet Lake District day is visiting one of the many museums. These are often small, locally run operations where you will find a great deal of enthusiasm regarding the nature of the museum. Below I€™ve summarised my top ten museums and tried to give a flavour of what you€™ll experience when visiting them. Grasmere, LA22 9SH Open: Monday - Sunday, 9.30am - 5.00pm Admission: Adult £7.50, Child (6 - 16) £4.50 - includes admission to Dove Cottage Website: www.wordsworth.org.uk The Wordsworth Museum (and Dove Cottage) has to be number one on everybody€™s list of Lake District attractions. The museum not only houses an extensive collection related to Dorothy and William Wordsworth, but is also renowned as a well-respected centre for British Romanticism. The collection includes manuscripts and books, paintings, water-colours and portraits. There is a well stocked gift shop, and a number of poetry workshops and recitals are organised throughout the year. Keswick, CA12 4NF Open: Tuesday - saturday, 10.00am - 4.00pm Admission: Free Website: www.allerdale.gov.uk/default.aspx?Page=16 Keswick Museum has been ranked 3rd in a list of the World€™s Strangest Museums - something of a strange thing in itself. This may be in large part to its exotic collection that includes a stunning collection of minerals & crystals, a famous 664 year old cat, Napoleon€™s teacup, remarkable Musical Stones (played by Royal Command for Queen Victoria), and Flintoft€™s 4m scale model of the Lake District. Other collections cover 500 items of Fine Art, Archaeology, Natural History and Geology. In fact, there is so much that the museum can only displays 20% of its collection. Coniston, LA21 8DU Open: Admission: Adult £5.25, Child £2.50 Website: www.ruskinmuseum.com The museum houses the Ruskin Collection - John Ruskin (1819 - 1900) was a remarkable Victorian scholar with a broad range of interests covering art and its criticism, geology, writing & teaching, philosophy and social criticism. Also present are exhibits relating to the local coppermines, slate, geology, lace, farming and Donald Campbell - famous for his water speed record attempts in Bluebird during the period 1966/1967. The museum now has on display Bluebirds K7€™s Orpheus engine. The museum shop has for sale Ruskin and Donald Campbell memorabilia and gifts, as well as DVD€™s on lace-making and the Coniston Copper mines. You can also walk in Ruskin€™s footsteps on a guided walk over the Yewdale Fells, led by the museum custodian and Ruskin scholar Mike Humphreys. Carlisle, CA6 4NW Open: Every week-end and Bank Holiday April - October inclusive, 10.30am - 5.00pm Admission: Adults £4.50, Child (6 - 16) £2.5 Website: www.solway-aviation-museum.co.uk An outdoor museum located on the exposed and windy Solway Coast. The museum has a variety of planes on display at its airfield location, amongst them the Avro Vulcan delta-winged bomber, an English Electric Canberra, Silorsky Helicopter, DeHavilland Vampire. Indoor exhibits include the Blue Streak exhibit where you can discover Britain€™s part in the Space Race, the Crosby Room where you can take a journey through the history of local wartime RAF Airfields and the Engine Hall where you can see the evolution of the aero engine. Keswick, CA12 5NG Open: All Year Round 9.30am - 4.00pm Admission: Adult £3.25, Child (Under 16) £1.75 Website: www.pencilmuseum.co.uk A visit to Keswick is not complete without at least one trip to the Pencil Museum. The museum hosts an excellent display of the history and the production of pencils. The museum is also home to the longest coloured (Deep Cadmium) pencil in the world - 7.91m. After the museum tour, children can occupy themselves in the Drawing Zone. The museum holds a number of drawing events throughout the year. There is a coffee shop and well stocked gift shop where you can stock up on all your pencil and paper needs. Kendal, LA9 6BT Open: Thurs, Friday, Saturday, 12.00 - 5.00pm Admission: Adult £2.80, Child £free Website: www.kendalmuseum.org.uk The museum hosts a collections associated with local history and archaeology in the Wainwright Gallery covering Pre-history, Roman, Viking and Medieval periods. There is also an Alfred Wainwright collection. The Natural History Gallery contains a variety of fossils and minerals, together with a section of the gallery devoted to the natural habitats and inhabitants of the lakeland fells. Quizzes and trail sheets are available for children, as well as a slate xylophone that can be played. Keswick, CA12 5LE Open: Tuesday - Sunday, and Bank Holiday Mondays, 10.00am - 5.00pm Admission: Adult £4.00, Child (6 - 16) £1.50 Website: www.keswickminingmuseum.co.uk Located in the centre of Keswick, this museum allows you to explore the geological development of the Lake District, and understand how fossils were formed. In the well stocked shop you can buy books, minerals and fossils, and geological tools to undertake your own exploration. You can even try your hand at gold panning, where you can take away the crystals, garnets and Fool€™s Gold that you find. The curator of the museum and mines historian, Ian Tyler, leads guided to nearby mines throughout the summer season. Ulverston, LA12 7AH Open: February - December, 10.00am - 5.00pm Admission: Adult £4, Child (6 - 16) £2 Website: www.laurel-and-hardy.co.uk The museum houses and extensive collection of memorabilia associated with the comedy duo. Stan Laurel was born in Ulverston as Arthur Stanley Jefferson and later changed his name. The museum charts the rise of the duo, illustrating their rise with pictures and associated memorabilia. The shop carries a wide range of gifts, memorabilia and DVD€™s. Workington, CA28 7DN Open: February - December, 10.00am - 4.30pm Admission: Adult £3.50, Child £2.50 Website: www.rumstory.co.uk The Rum Story charts the history and production of rum and the role it played in the area, and is based around the Jefferson family who imported rum. The tour begins with sugar cane in a tropical rainforest, through the sugar processing turning the raw cane in to molasses. Distillation follows the fermentation of the molasses, and then shipment to Europe. The building in which the Rum Story is based is reputed to by haunted, with many reports of strange and unexplained happenings - you can even arrange to stay overnight in a haunted vault if you€™re brave enough! In the shop you can buy Jefferson€™s Rum. Carlisle, CA3 8UR Open: 7-days a week, Apr - Sep 9.30am - 5.00pm, Oct - Mar 10.00am - 4.00pm Admission: Adult £4.50, Child £2.30 Website: www.kingsownbordermuseum.btik.com The museum is situated in Carlise Castle making for a full days adventure. The museum records the history of various regiments associated with the Cumberland, Westmorland and Borders, and displays a variety of memorabilia associated with the regiments and the conflicts they have been involved with. The on-site shop has a variety of books and gifts. Carlisle Castle hosts a number of events through the season. 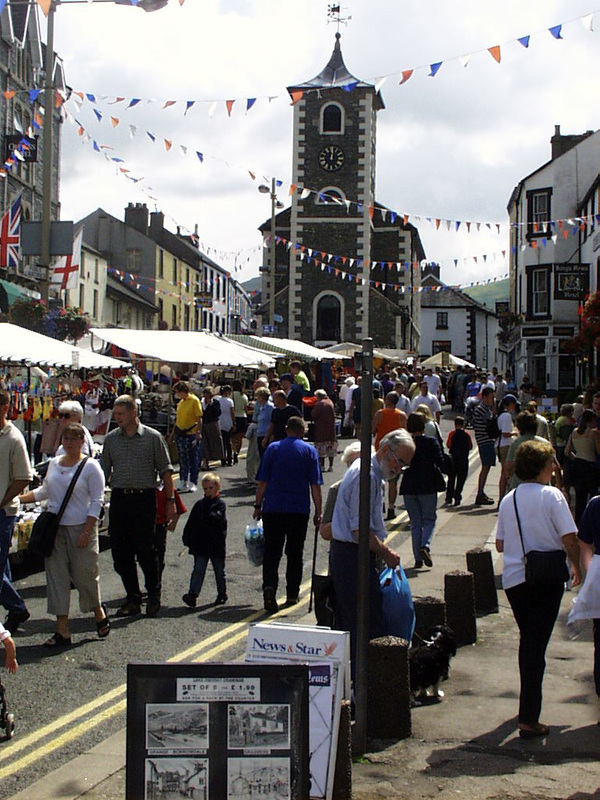 Keswick is a beautiful market town within the Lake District and is proving to be one of the more popular holiday destinations for British holiday makers looking for a quiet cottage holiday break. And if it becomes too quiet, there€™s always the option of taking up one of the many outdoor sports available in this unique region of the UK. Centered in the district of Allerdale, Keswick town is one of the most picturesque towns in Cumbria and all of England, offering the traditional buzz from the local market place (renowned for its cheese) and giving easy access to the Derwent Water and Bassenthwaite Lake for those that want to experience the beauty and thrill of the lakes in the Lake District. For those that avoid Keswick, thinking it€™s just a secluded town with little action, think again. Not only does it link to some of the most exciting places in the Lake District (making it ideal for cottage holiday makers), but it also hosts its own series of activities. Each year thousands of paying visitors flock to Keswick for the renowned mountain film festival, showcasing some of the rawest talent from not just England, but from all around the world. For those that like good music and good home brewed British beer then their annual Beer and Jazz festival may be on your calendar. Taking place at the passionate Keswick Rugby Union grounds there is plenty of room to accommodate even the largest of crowds, which are growing every year. Get down there now before it becomes main stream. Just make sure you have a designated driver, because if you sample all 200 of the vintage ales, ciders and lagers, it may be a struggle to actually leave Keswick once you get there. That€™s not it though, not only can you watch blockbusters in the making, sip some real homemade ales and listen to some quality music, but you can also get a taste of celebrity life, when you visit Keswick€™s €œCars of the Stars Motor Museum.€ This golden building houses some of the finest automobiles used by celebrities in TV and film. There are bound to be a few cars that you recognise. It€™s true that when you go on a cottage holiday to Keswick you may not even experience any of the Lake District and still have a good time, although that would be doing your vacation justice. Once you€™re done exploring the fruits of the town, be sure to visit the real Lake District and its landscape. Whether you want a relaxing boat ride or walk along the countryside, or want to go mountain climbing and white water rafting the Lake District offers it all. No other place in the world offers such a unique experience and contrast between beauty and sporting danger. Mountains, cliffs, lakes and countryside are all lovely to look at but are also exciting to climb, jump, race and mountain bike over as well. Overall Keswick offers a great destination for those that want to experience the Lake District but don€™t want to be too far form civilization. The Lake District, in England's north-west corner, is a popular tourist attraction, famous for its lakes and fells. However this "paradise on earth" has its darker side as alluded to in the many stories that are told of strange happenings and ghostly appearances. If you do have a spare day or the weather is against you, then why not explore some of the reputedly haunted places. A Grey Lady haunts the driveway at Levens Hall near Kendal is haunted. She appears in front of cars and then disappears without a trace. Prior to the motor car, she appeared before coach and horses. Another ghostly woman, wearing a cap and printed dress, is said to appear before children. Lowther Castle is said to be haunted by Sir James Lowther, also known as €˜wicked Jimmy€™. Being greedy and ambitious, he entered into a marriage of convenience, but fell in love with a tenant farmers daughter. The daughter was kept as his mistress, but when she fell ill and died. He is said to have kept his mistress in bed as if sleeping and would not let his servants acknowledge her death. He would dress her for dinner and sit across from her at the dining table. Eventually the stench became too much to bear and he placed her in a glass lidded coffin and kept her in a cupboard. Sir James fell in to a deep depression and eventually broke down. Sir James€™ ghost it is said to reappear when the moon is full on the anniversary of his burial as "wicked Jimmy" driving a carriage manically across the Lowther parkland. You can get closer to ghostly happenings by spending a night at The Rum Story, a museum dedicated to telling the story of rum. Since it opened in 2000, many strange occurrences have been reported and investigated by paranormal experts. The resident ghost, nicknamed "Henry", appears fleetingly before visitors. If you are brave enough, you can spend a night in the haunted vault - certainly an alternative way to spend a holiday in the Lake District. Of course, you needn't go to these extremes to spend a holiday in a characterful property. At Lakeland Cottages we have a fine selection of characterful cottages and houses. Visit us at www.lakelandcottages.co.uk to find your Lake District holiday cottages - though we can€™t promise a ghostly apparition! Quite often, when guests are booking one of our Lake District cottages, they will ask us about the weather. Whilst we can simply look out of the window and give them a description of what we can see, it is not necessarily that this is representative of the weather across the whole of the Lake District. The weather patterns in the Lake District can be localised with completely different weather being experienced between the north and south Lakes, or the east and west Lakes. One half of the area can be in glorious sunshine, whilst the other is shrouded in mist. In addition, weather variations are not restricted geographically. Rapid changes in the weather conditions can be experienced in a single day. A bright and clear start in the morning can soon turn to heavy rain and limited visibility during the afternoon. It is often said that we can experience four seasons in one days on the lake District fells. It is therefore important to check the weather conditions and forecast before you venture out on to the fells. Below are some links that provide weather forecasts, some of which are more useful to walkers and mountaineers. When venturing on to the fells, please remember to leave details of your journey, alternative bad weather routes and times with someone who can contact the emergency services if necessary. The Lake District is calling. It is that special time of year. The air begins to smell wonderful and no matter what the temperature, you can feel that spring is just around the corner. This is the time of year when many of us start to think about holiday trips to the country, and Lake Country calls. No wonder the Lake District is the most popular holiday destination in England. One look at its vibrant green countryside says it all! Looking for an excuse to come to the Lake District soon? 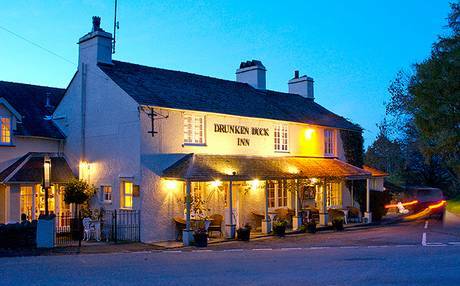 And don't forget to visit the Drunken Duck Inn when you come around to Ambleside. The view is always spectacular from its perch above the town. After a day walking the many trails in the area you will welcome the coziness of its stone-flagged bar where they serve a variety of local brews. It has a simple yet welcoming restaurant where they offer their famous cherry-glazed whole chicken dinners. This is one place that is always a welcome stop on any visit to the Lake District. If you are planning your spring getaway to be one filled with the great outdoors, there are few places to rival The Lake District. Its walking trails have been the inspiration for poets and authors for ages. With Easter right around the corner, why not surprise the one you love with a romantic holiday? A simple cottage in the Lake District might be just the antidote to those long winter blues. How can you beat those long romantic walks followed by a quiet night together? Come by the Lakeland Cottage Holidays website to choose your next holiday get-away in the Lake District. Pick the town, pick the style and let us know if you want to bring pets, are looking for a place with an open fire or even if you need Wi-Fi available. Have you visited us before? Drop by our Lakeland Cottages Facebook page and tells us all about it. We love to hear from our fellow Lake District lovers. And don€™t forget to tell us you €œLike€ us while you are there! We will be seeing you soon at one of the most beautiful places to visit this spring. Preparation is the key if you are planning a trip to the Lake District during the coming winter months. 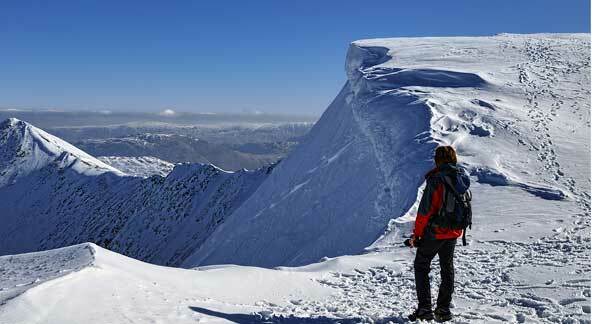 In this article we cover the basics of how to stay safe when venturing out on the fells this winter. Over 500 hundred accidents are reported each year in the Lake District. Whilst many are due to slips on wet grass or rock (preventable by wearing proper footwear), many more are due to poor preparation and lack of experience. Check The Weather Take the prevailing weather conditions in to account when planning your route and always be prepared to change your plans should the weather change. Weather in the Lake District can change and deteriorate rapidly, and conditions on the tops of fells are likely to be more severe than those at lower altitudes. The Lake District Weatherline provides forecasts and an assessment of the high-level conditions - 0844 846 2444 or visit www.lakedistrict.gov.uk/weatherline. The Mountain Weather Information Service for the Lake District www.mwis.org.uk/ld.php also has a mobile service. 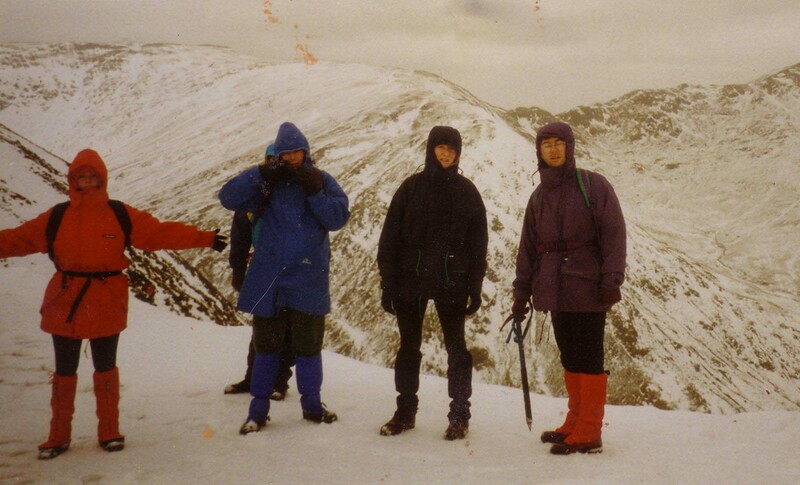 On The Fells Always keep your group together and watch out for those who appear to be struggling. Ensure that you know where you are and can give a grid reference. Keep an eye on the weather for any signs of deterioration. Check your progress and time against your original plan and adapt your walk to suit. Avoid areas of freshly banked snow and snow filled gullies however tempting they may be - avalanches are rare in the Lake District but do occur. What to do in an Emergency Send for Help - if you have a mobile signal call 999 (Cumbria Police) and report your position (grid reference ideally) and condition of your party. The police will call-out the nearest Mountain Rescue Team. If there is a casualty in the group ensure that they are kept warm, sheltered and protected from further injury. Attend to any injuries - giving first aid as necessary. Lakeland Cottage Holidays provide self-catering, holiday accommodation in the English Lake District. To learn more about our cottages, to check availability and to book online visit www.LakelandCottages.co.uk or view our Lake District cottages here. We think Autumn is the best season because at least the weather truly reflects the season. Here are some other reasons why we like Autumn best . . .
Of course, the best place to take an Autumn break is in one of our Lake District Cottages. You can book short breaks, long-weekends or mid-weeks breaks in September and October. Check out our Lake District Cottages here. You can download a route card here. Layer Up One the most important concerns whilst out walking in winter is to keep warm. This means wearing gloves, hats, scarves, socks, walking trousers (not jeans) and layered thermal tops. It is best to wear layers of clothing on your top. The reason for this is that on the way up when you are expending energy you will heat up and inevitably sweat. Not only does this lead to dehydration, but the evaporating sweat will leave you felling cold. So, by adjusting the number of layers you wear, you can adjust you body€™s warmth and maintain a comfortable temperature. You will also need to carry or wear a wind & water proof jacket and leggings. It also makes sense to carry spare gloves, hats and socks - if the ones you are wearing become wet or, in the case of hats & gloves, you loose then to the wind. Take Extra Supplies In addition to your planned picnic stops, it is important that you also take extra rations for use in an emergency. If a member of your party is flagging and falling behind, then you need to administer a quick and fast acting energy boost. Or, if you get in to the unfortunate position of having to be rescued, spare food and drink will not only sustain you through your wait, but also help to keep morale up. High energy bars and glucose drinks are a popular choice. As is Kendal mint cake - a mint flavoured glucose bar. You might also keep in reserve a hot flask of tea or soup. Whatever your choice, ensure enough rations for all members of the party and distribute them amongst them. In Part 2 we look at safety equipment, dangers to be aware of and what to do in an emergency. Spring is just around the corner so after being stuck indoors for most of the winter getting out into the countryside must be on your mind. Horse riding is one of many Lake District attractions and is a great way to explore and enjoy the breathtaking surroundings and views. Trekking in this stunning area of England is a real treat, and will be a memory you will cherish forever. Many local stables near to our holiday cottages offer a variety of riding options from one hour to half day's and all have highly qualified instructors, so even if you are a novice rider you can still enjoy this amazing experience. Stockbridge Pony Trekking Centre in Penrith is a well established riding centre offering one hour and two hour rides along the Barton Fells, Ullswater Lake and the famous Pennines. The views on these trails are incredible so be sure to have your camera with you. 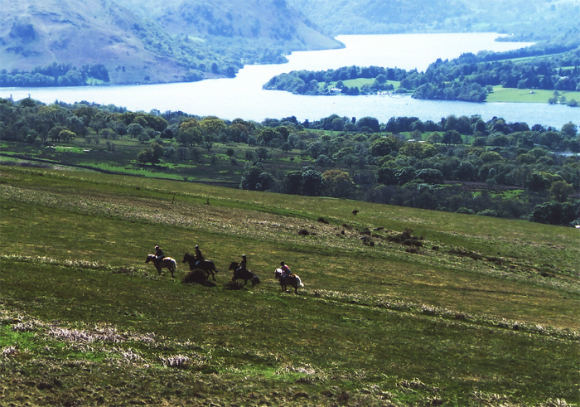 Armathwaite Hall Equestrian Centre, based at Coalbeck Farm, Bassenthwaite welcomes all levels of rider and offers various trekking options. Whatever ride you choose I can promise you it will be one you will never forget. If you are not into riding but love the outdoors booking one of our holiday cottages in the Lake District this spring is a must. This unique corner of England at this time of year is something everyone should experience. The colourful scenery is spectacular and although the days are still a bit crisp the air is fresh and you'll find some peace and quiet away from the hustle and bustle of daily life. All of our cottages offer something different, whether it€™s a quaint traditional holiday you want in a peaceful location, a stay in a traditional converted barn or a large house set within private grounds, we can accommodate your needs. Not forgetting our selection of pet and dog friendly properties, so you can enjoy this wonderful area together. Among the most delightful of the Lake District Cottages are those in the Borrowdale region. When it comes to beautiful English valleys, it is hard to beat the Borrowdale Parish in the Lake District for scenic charms. Located in the heart of the Lake District National Park, this collection of villages and scenic walks is a wonderful place to just get away from the bustle of city life and relax in the green and peaceful countryside that so many of the Lake District cottages tend to offer. Take a hike through stately oak forests or spend a quiet afternoon in one of the several quaint old villages that dot the area. Anyway you look at it, whatever you need for a refreshing getaway is there waiting for you. It all starts with a self-catered holiday cottage in the Borrowdale Parish region. There is so much within walking distance. When visiting the close by village of Roswaite you can walk the nearby fens as well as enjoy afternoon tea at the famous Flock Inn. Maybe you are more fascinated with the history of the region? From the ancient stone circles that dot the Lake District region to the literature-rich history of many of the inns and towns, there is so much to connect with. And don€™t forget to visit the world-famous Plumbago Mine, the only source in the world of pure graphite. This is the birthplace of the pencil and a fascinating tour. One of the more unique events for visitors is the annual Borrowdale Shepherds Meet and Show every fall. This great family-friendly show includes events with working dogs and shows them off at their best. Your kids will love the Children€™s Pet Judging and the Falconry Flying Display is a thing of grace and beauty. For the hikers in your family, nearby Seathwaite is a wonderful starting place to hike into Great Gable, Bowfell and Scarfell Pike. There are many great walking routes in this area for any avid hiker or walker. So if you are looking for a great weekend getaway or a week in the countryside to just enjoy the surroundings there are some wonderful choices to make. Perhaps you want to indulge in a Lake District cottage stay with a walking weekend. Having your own Lake District cottage to use as your home base as you explore the countryside is an excellent way to enjoy the Lake District. Have the best of both worlds with a self catering stay that is just steps away from beautiful countryside, whether it is in a converted barn, old fashion cottage or in-town apartment. You will always be just a short walk from countryside that will both inspire and rejuvenate you, and still be home in time for tea. The BBC has reported that a study of 2,750 people by the British Psychological Society has found that bracing sea air has a more positive effect than the countryside or an urban park. The study examined how differing types of outdoor environments could result in different reactions from the people experiencing them. Being beside the seaside was significantly more likely to create a feeling of well being. You can experience the seaside when you holiday in the Lake District. Here's our summary of seaside adventures you can have whilst staying in one of the many holiday cottages in the Lake District. Allonby has miles of sandy beaches and was once known for its herring fishing - you can still see evidence of this in the old kippering houses. 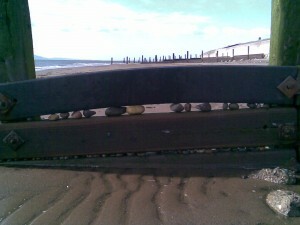 Allonby village has a long history of being a sea-bathing resort - going back to the 18th Century. Today you can enjoy a bracing walk along the beach and reward yourself afterwards with a treat from the famous Twentyman ice-cream shop. The Solway Firth & Coast - this area to the north of the Lake District National Park is recognised as an Area of Outstanding Natural Beauty. As well as its importance as a nature reserve, the area also has numerous links to the past. At Crosscanonby you can see some of the best-preserved salt pans, where sea water was captured to produce salt. St. Bees Head - start of the Coast-to-Coast Walk, is a massive sandstone outcrop known as one of the best places for wildlife in the UK. Walk along the cliif top path to view seabird colonies including England€™s only nesting black guillemots. Other birds you may encounter are Fulmar, Herring Gull, Kittiwake and Razorbill. There is a sandy beach at St. Bees and many rock pools to explore. Historic Ports of Maryport and Whitehaven - Whitehaven grew in size and prominence during the 19th century as coal mining became a major source if income. Maryport was first established as a Roman fort (Alauna) around AD 122 and was a supply base for the coastal defence's of Hadrian's Wall. Again, mining played a large part in the ports prosperity. The port declined after the general strike in 1926 and following the opening of a deep-water port at Workington in 1927. Today, both ports are popular tourist attractions with many attractions such as the Maryport Blues Festival and Whitehavens maritime Festival. So, if you want to explore the beauty of the Lake District, you don't need to miss out on a seaside adventure. Stay in one of the many Lake District cottages and you can still be beside the seaside. For anyone who has ever taken a holiday in the Lake District, the lovely walks in the area are a big part of the charm. As the weather gets warmer, the walks can be a bit longer. This can lead to creating a real thirst, a thirst for one of the local beer pubs. Luckily, just as there are plenty of trails to walk, the Lake District has no shortage of great beer pubs with some excellent local ale and beer. Legendary amongst them is the Old Dungeon Ghyll Hotel. The Langdale pub is just one great example of how much beer pubs have improved in the last decade. There was a time when your end of walk beer would be some boring corporate swill you could get in any pub at home. But with the growth of local breweries and upscale beer pubs, that has all changed. At last year€™s Great British Beer Festival in London it was Cumbria-produced Coniston€™s No. 9 Barley Wine that won for Champion Winter Beer and Supreme Champion. 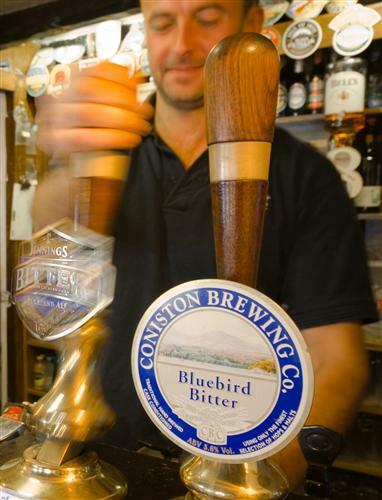 This is just one of the many great locally-produced beers you can be sipping soon at a local beer pub when you stay for holiday in Cambria€™s Lake District. Finding the right beer pub when you are ready is even easier. A couple of local lads, including Ben Clarke the assistant manager of the Langdale Hotel, put together a smartphone app for the local beer pubs. It lists the eight Langdale pubs and tells you locations, the beer they serve and other useful bits. Well worth the trouble to download and carry with you on that next walk. You can't get much more local than the Dog and Gun in Keswick. It has the feel of a traditional beer pub and what is on offer is always great. If you like to take your dog along for a walk, this is the perfect place to stop for a pint after. In fact, this is such a popular stop that some nights the dogs may outnumber the humans. Another dog-friendly local beer pub is the Pheasant Inn. With its friendly service and hospitality that welcomes kids or dogs; it is a great end of the walk visit. There is plenty of home cooking as well as some tasty beer. Since Keswick is such a grand place for a nice long walk with your dog, I always appreciate that these local beer pubs make my dogs feel so welcome. So when you plan that next walking holiday in the Lake District, don€™t forget to plan for a few beer pubs along the way. From a long weekend getaway to a true summer holiday, taking the time for a walk through the fells of the Lake District is always the best cure. What better way to end it then to visit a pub or two on the way back home? Few places have the serene natural beauty as the area that surrounds the village of Bassenthwaite. 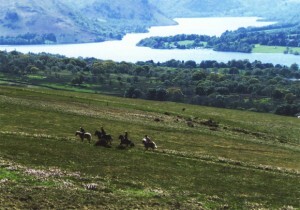 Although the official census is around only 400 people, the area is popular for both birders and country walkers due to the nearby Bassenthwaite Lake. The village is just a short walk from the lake, one of the largest bodies of water in the Lake District, while also quite shallow. This feature draws many birds not generally seen, such as the Osprey that have recently repopulated the area. The just completed Osprey View is always a hit with birders who visit. Also popular is the spectacular views along the new wetland reserve at Dubwath Silver Meadows just across the lake from the village. If you like a more exotic view of wildlife, both the Dubwath Reserve and Trotters World of Animals are accessible via the local Osprey Bus. Historic Bassenthwaite Anyone traveling through the areas around Bassenthwaite will become quickly aware of the Viking history for this part of the country. In fact, the town is thought to be named after the original Viking family that first cleared the trees in the area to farm. Farming, particularly raising Herdwick sheep to create the famed €œSkiddaw Grey€ wool remains the main industry of the area to this day. The Victorians loved the wild beauty of the countryside and came in droves once the trains arrived in the mid 1800s. Among the visitors were many famous poets who came to write of the countryside. These were to include Wordsworth, Tennyson and Coleridge among others that became known as The Lake Poets. Mirehouse is just one local place that has come to be connected with this group of romantic poets. Pike Fishing on the Lake Of course, nothing is more poetic than a quiet day spent fishing. It is said that the worst day fishing is still better than the best day in an office. When it comes to fishing on Bassenthwaite Lake, the scene is idyllic and the fish seem to always be biting. Pike are in abundance here as are eels and perch. There is even trout at the right time of year, though not generally in the spring. You can access the lake almost anywhere along the road side bank bordering the A66. But bring your own boat, because there are none for rent in the area. If you are considering coming out to the Lake District for some fishing this spring, a great resource for the best spots is Lake District Fishing. Rent a Cottage for a Relaxing Holiday As you can see there is a wonderful selection of things to do in the Bassenthwaite region of the Lake District. Whether you are interested in renting a little nearby cottage to do some quiet walks through the historic region or explore the wildflower covered meadows, the Bassenthwaite area has something for everyone. Every season has its own charms, but spring in Bassenthwaite seems to be the perfect time to remind us all of what a beautiful country we live in. There are few Lake District cottages in areas as pretty to walk through on a country morning as the ones near Bassenthwaite Village by its namesake lake. A charming village in Cumbria, this little village with a cozy pub in the Sun Inn is a wonderful place to get completely away from the bustle of the big city. Many of the charming cottages and heritage homes allow dogs, making it a magical getaway for dog lovers and their pets. It is perfect place if you love long easy walks in the country. It can almost feel like you are walking back into a place that time forgot when you stroll through the fields and farmlands near the Lake District cottages of Bassenthwaite. The village still has the traditional village green and is the center for the surrounding farms. Nestled in the shadow of the imposing Skiddaw Massif, the surrounding area of Bassenthwaite has several historic grand houses. A quick trip through the countryside reveals: Bassenfell Manor - once housed a Member of Parliament and is now a Christian retreat Armathwaite Hall - Built in 1881, this castellated Victorian is now a hotel. Mirehouse - An historic home with connections to Wordsworth and Tennyson, the pre-Norman church St. Bega and a range of parks to ramble through by the lake. Besides the obvious history of these buildings they all are great places to take the family. Many of them have parks with hiking trails and in fact the only access to Bassenthwaite Lake on the west shore is by a shore trail that begins at Mirehouse. One of the other near Armathwaite Hall is a fun family attraction called Trotters World of Animals with more than a hundred varieties of animals on view. They have many animals that were once native to the area such as the lynx as well as non-native species like the lemur troop whose antics everyone enjoys. As you can see there is something for just about everyone when you stay at our self-catered Lake District cottages in Bassenthwaite. For quiet beauty, family fun or just a nice weekend getaway, it is the perfect little corner of the Lake Country you can call your home away from home. One of the real joys of taking a cottage in the Lake District for holiday is the ability to chance upon wildlife in your walks. For many of those who live in the city, the sight of red deer in a meadow or wild osprey across the sky while on a wildlife walk can be breathtaking. There are many trails that can be walked at prime wildlife watching time - at dusk or dawn. This is when many animals are most active, so planning your schedule to include walks at this time can be very rewarding. Because there are rivers and streams, not to mention lakes, everywhere you can see many kinds of animals that live at the water€™s edge. Ducks and geese are plentiful and if you are lucky you may see deer coming down to drink at dawn. An unexpected pleasure is the river otters, who have returned in stronger numbers to many of the local rivers. 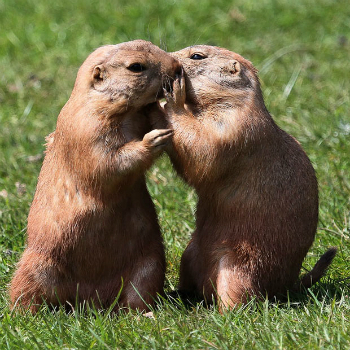 They are playful creatures and if you are lucky enough to come upon a family of otters, they are endlessly amusing. One of the real treats for anyone who is a true €œbirder€ is the dawn walk. Many love to call it €œThe Chorus Walk€ because of the sheer number of birds greeting the day. Spring is also a great time to see Cedar Waxwings near Grange-over-Sands and many of the lakes will have the majestic Great White Egret. Coastal marshes yield everything from the colourful goldfinches and greenfinches to reed-buntings and skylarks. The return of Spartina Grasses in this area is bringing back many of these birds with its plentiful seeds to feed them and stalks to hide amongst. Of course, many birders have begun to come out to the Lake District to watch the Peregrine Falcons soaring amongst the mountain updrafts. A rare Golden Eagle returns each year to Haweswater, and attempts are being made to entice a few more down from Scotland. 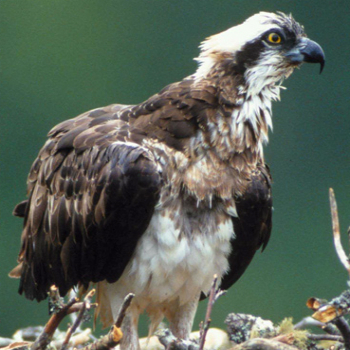 The successful return of Osprey to the area has everyone smiling wider, after seeing them become extinct as a breeding species in the rest of England. These are just a handful of the birds you will see, many from the front door of your Lake District farmhouse on just about any morning. One of the surprises for many newcomers to the Lake District is the many meadows that dot our trails. Areas of wet heath can yield to flower-strewn meadows with deer and many small creatures. Always charming are the native red squirrels with their cheery greeting and long luxurious tails. Of course, it wouldn€™t be an English countryside without a badger to waddle into the scene. There are so many wonderful opportunities for seeing wildlife in the Lake District that you will need your afternoon naps just to recover. Evening walks reveal a plentiful number of owls, of many different species. You can be on a peaceful walk back from the local pub when you spot the silent glide of an owl on the hunt. It is a sight to behold. So come out to the Lake District and spend some time on our trails spotting some wildlife. Take along your binoculars and leave yourself some time to visit a pub or two along the way. When you stay at one of our many fine Lakeland Cottages you will find that taking a holiday in our village is like being a part of a big family. Sharing your stories of what wildlife was spotted is just part of the fun.